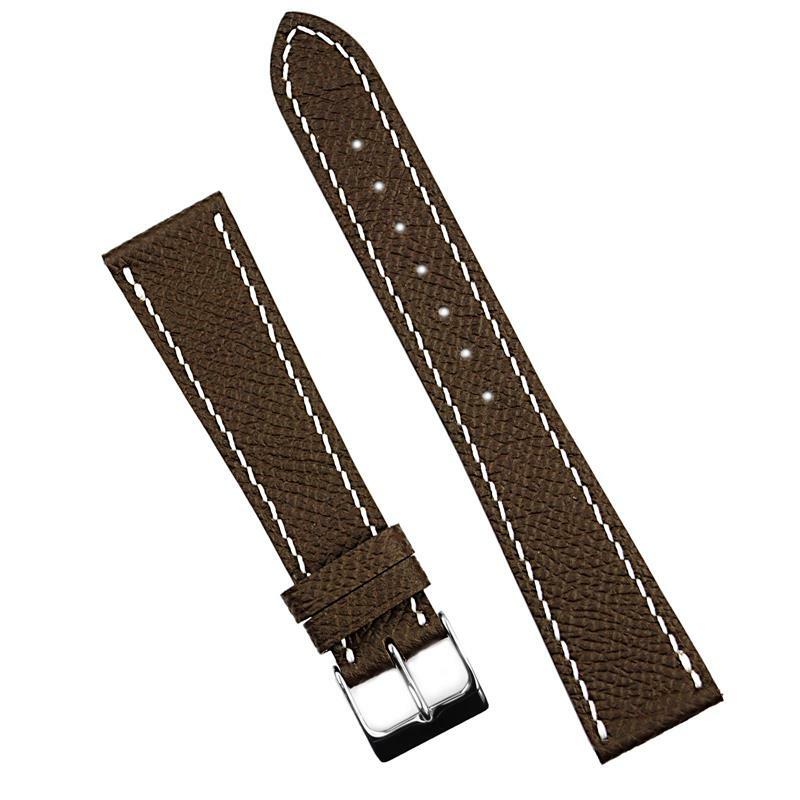 Rich, Classic & Elegant are just some of the words that come to mind for describing the Brown textured calf strap. Made from select French leathers, with a unique grainy texture, the Brown textured calf strap will definitely add beauty & class to any watch. The strap is crafted with an appealing taper, and finished off with an elegant white stitch carefully sewn by hand. 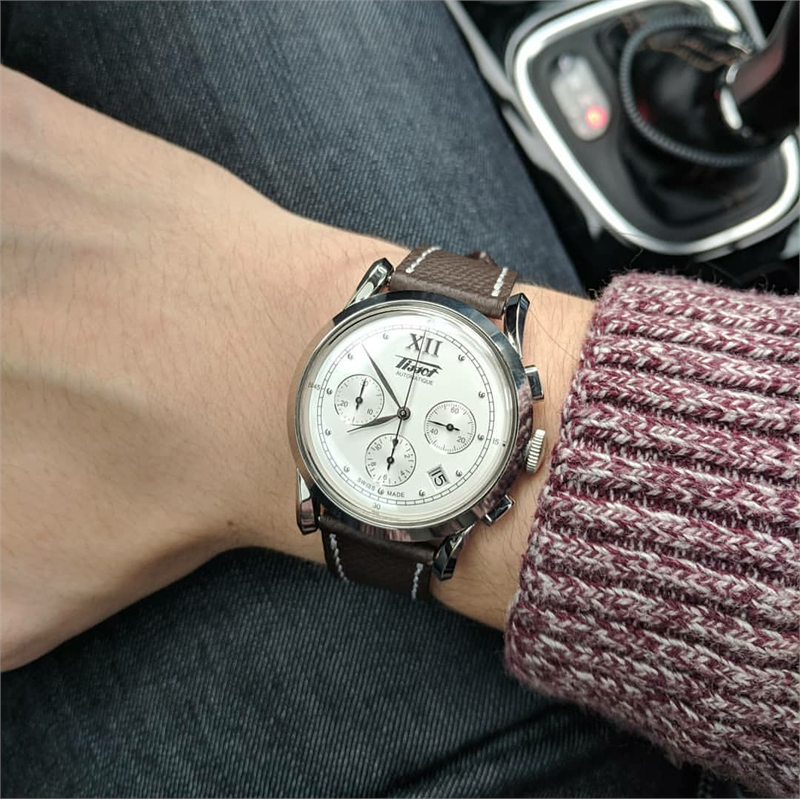 Whether it be a Patek Philippe, Heuer, or Universal Geneve, you'll be sure to have an exquisite combo with one quick strap change.